Now that you’ve gotten the first 5 Tips on How to Care for Your Wardrobe under your belt, here are 5 more to keep you on track with your wardrobe maintenance! 1. Treat Your Delicates Delicately! In most cases, delicate clothing made from fine fabrics such as silk require dry cleaning; however, there are some items that are perfectly okay to launder at home (if noted on the care label!). If you don’t have the time to handwash delicate items (most of us don't), my recommendation is to use the delicate cycle in your washing machine (luckily most newer washing machines have great preset cycles already built in for this and they are truly gentle). If you happen to have a few delicates that can be washed together, do yourself a favor and place each item in a separate lightweight laundry bag to protect the different fabrics. I recommend laundry bags that are especially for delicates – they're tightly woven, unlike mesh bags which tend to develop pills over time. See below for my recommendations on laundry bags you can use! Bras (as well as other lingerie pieces) should always be washed in a separate laundry bag (like the examples above). And bras should always be fastened at the back for two important reasons: so that the bra bands don’t end up getting twisted and out of shape, and more importantly, to prevent the bra hooks from catching onto other clothes. When it comes to drying these kinds of delicates, you should never place your lingerie in the dryer – always air-dry them instead. 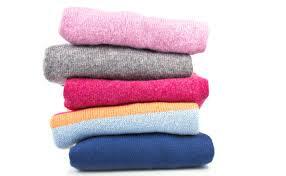 Protecting these types of delicates from dryer heat will help prolong the life of the softer fabrics, but also keep the elastic intact for a much longer period of time. Another tip that will help extend the life of your bra is by drying it flat. While it's a popular choice to use a lingerie drying hanger, it might not be the best option because hanging the bra to dry actually stretches the elastic in the bra bands. This means that the wearability of your bra won't be as long. Instead, you can lay your bra to dry flat on an over-the-door drying rack or any drying rack that allows you to flat-lay clothes. Overall, air-drying your delicates doesn't take long at all and your clothes will thank you for it! 3. Never Hang Your Sweaters! This is one of the first things I share with my clients when we go through a Closet Edit session. From this point forward when you buy new clothes, do not, I repeat DO NOT bring home those clanky, plastic hangers that the store uses to hang your clothes. These commercial hangers are ‘no bueno' for your long-term wardrobe care plan. First of all, they’re not adequately shaped for most clothes – we’ve all had that one top that became stretched into the shape of one of those awful hangers! Next, they are cut from plastic molds that leave the hanger ‘unfinished’ with jagged edges and visible seams – these can damage your clothes with small snags, tears, and rips. And finally, these types of hangers just take up too much space in your closet! They are often wide and clunky and if you have a lot of clothes, they can end up jammed against each other in your closet. I always recommend that my clients invest in slim velvet hangers for their entire wardrobe. Just as the name suggests, slim hangers are thin but they are very sturdy and have the best shape for hanging your clothes. They feature a velvety texture to keep clothes from slipping off, they're seamless, and they also have built-in notches for your strappy tops. The metal neck of the hanger is sleek and smooth so you’ll never snag any clothing with that either. Also, the ‘shoulder' of the hanger is shaped similar to a person's shoulder so it won't misshape your clothing. You can also use hanger clips that attach onto the bottom rung of the hanger to hang your skirts and pants, too! If you outfit your closet with slim velvet hangers, you’ll immediately create more space and have a clean, uniform look for your wardrobe. 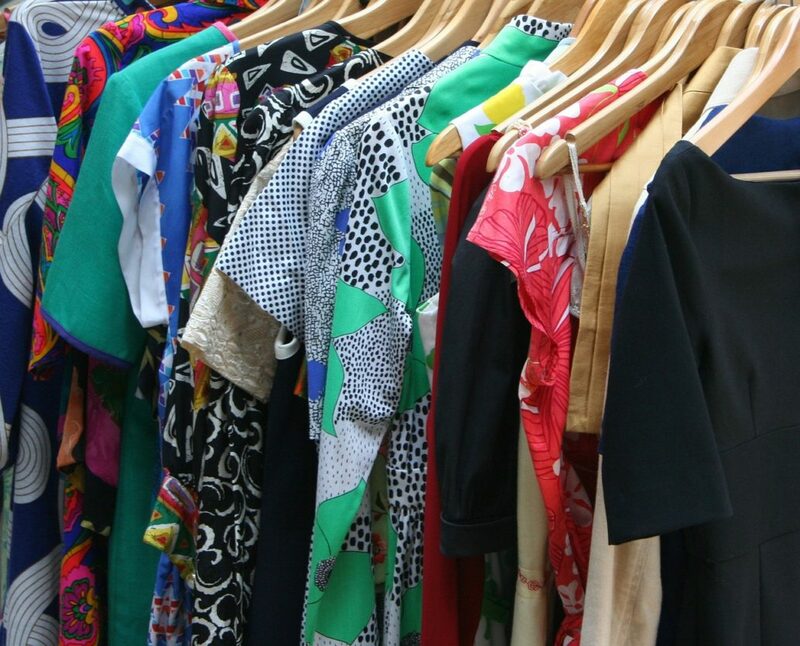 Transform your closet into your own personal boutique! Check out my recommendations below! This is probably my favorite and most useful tip to share with you! I can almost guarantee that after you use a steamer to smooth out the wrinkles from your clothing, you will probably never touch an iron or ironing board again! This is the best way to get every single wrinkle out of your clothes, and not to mention it’s quick, easy, and very convenient. For my clothes (and my clients' clothes), I use a full-size Rowenta Compact Valet clothing steamer that's adjustable in height and has a section to conveniently hang the garment that I'm steaming. For photo shoots and travel, I love to use my portable, handheld ESTEAM steamer because it’s easy to store and I can easily pack it in my styling kit or suitcase. (Disclaimer time: With the use of any clothing steamer, remember that steam is extremely hot and can cause burns if used incorrectly so please use it with caution). I'd love to hear what tips you may have to extend the life of your wardrobe. Feel free to comment below! BONUS: Here are some additional tips on How to Care for Your Shoes and How to Care for Your Handbags!